A concentrated source of bioavailable carbon, Krebs cycle intermediates, humic & amino acids, and naturally-occurring phytohormones. Primary or supplementary source of carbon (compatible with CO2 supplementation). 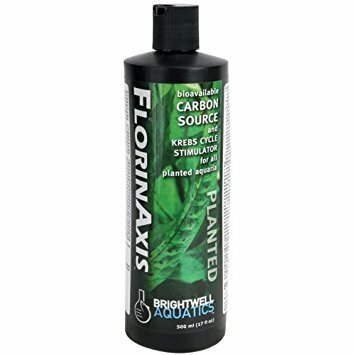 Provides naturally-derived sources of humic substances, which aid plants in the uptake of important nutrients such as iron, calcium, magnesium, etc., and can even increase the availability of these substances in the aquarium environment. Formulated utilizing research on aquatic plant nutrient requirements & Molecular Biology.